I recently attended a talk for the DBA ( Design Business Association) by Michael Thomson an eminent design strategy specialist and an expert on national design policy. His talk was to a group of design agencies, VMAL included, and the focus was a deeper understanding of design-led strategic thinking that will enable business growth. Michael has worked in Austria, Iceland, Ireland, Italy and Qatar and with the European Commission in Brussels. and has also advised large public sector clients in the UK and well known brands such as Ecco, Tupperware and Dyson. Schreyer, the designer of the Audi TT Coupe, was hired to overhaul Kia’s lineup and allow the Seoul-based automaker to charge more for its models. 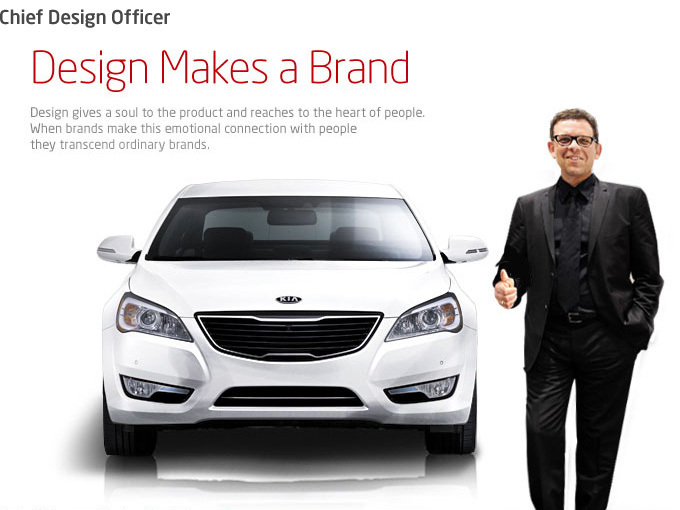 DESIGN MEANS EVERYTHING.It could only be a Kia. Our commitment to design is such that we hope when you look at Kia, you’ll recognize it instantly. Clean, contemporary lines. Bold, aggressive touches. The distinct tiger nose grille. An aesthetic that’s both playful and considered—that’s Kia. … but the facts on the ground show that companies with design as a strategy actually increase their bottom line. Some companies that have used design very effectively as an integral part of their brand include Apple, Fisher & Paykel, Dyson, Joseph and Joseph, IKEA to name a few. To illustrate, Apple, the epitome of a design-led organization, now has a market capitalization of $570 billion, larger than the GDP of Switzerland. Its revenue is double Microsoft’s, a similar type of technology organization but one not truly led by design (just compare Microsoft Windows with Apple’s Lion operating system).